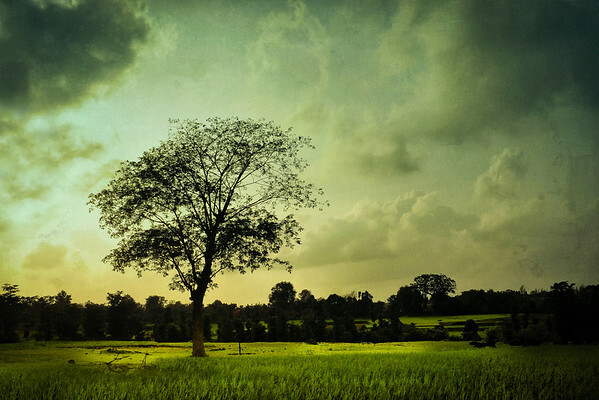 Rain clouds, Sunlight playing hide & seek and one tree in the middle of the field. I just had to stop the car and take this shot. The road was quite narrow and there was a truck approaching from the opposite side. I still stopped the car, ignored the angry truck driver, stepped out and took the photo.